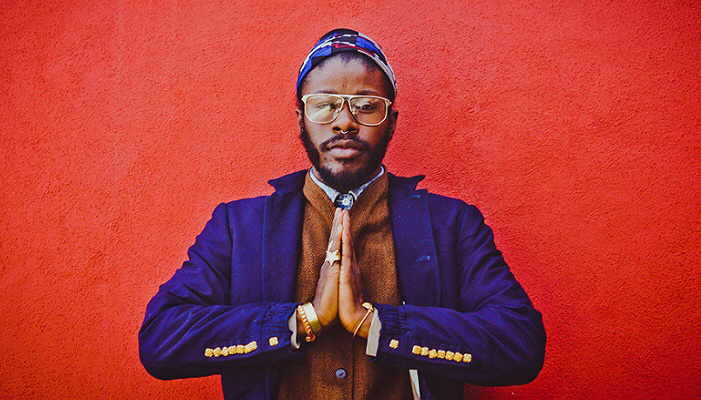 Jesse Boykins III – Our Tonight Is Mine. Alternative R&B singer Jesse Boykins III boasts a five-octave vocal range and a wide scope of inspirations that stretches from classic soul to the contemporary likes of Björk and Bilal. He has also soaked up the music of the various cultures to which he has been exposed, including reggae and salsa, but his output is rooted in R&B, occasionally accented with off-center electronics. Born in Chicago, Boykins spent a few years of his childhood in Jamaica prior to settling with his family in Miami. Involvement with his elementary school’s choir proved to be a springboard, one that led to being picked as a member of the Grammy Jazz Ensemble. Later, at New York’s New School University, he developed not only his vocals but songwriting, arranging, and production skills. The next logical step was releasing his music. Dopamine: My Life on My Back and The Beauty Created were issued in 2008. The albums placed him in the company of accomplished, not-quite-mainstream R&B artists such as Dwele, Eric Roberson, and Darien Brockington. He worked with MeLo-X on Zulu Guru, a full-length collaboration released on Ninja Tune in 2012. Love Apparatus, featuring productions from Travis Stewart (aka Machine Drum), followed in 2014. Boykins has also appeared as a featured guest on recordings by Chin Chin, the Foreign Exchange, Zo!, Theophilus London, Zodiac, Vic Mensa, and TOKiMONSTA. In the self-directed clip, Jesse and his love interest (played by Swedish model Amanda Looma) head out for a ride, but opt to «switch gears» and bring the steamy romance to the parking deck instead. See, I just want to be with you tonight, alright? I just want to be with you tonight, (tonight, tonight, tonight) alright? Alright (alright), alright (alright), alright (alright), all night (all night), yeah (yeah)! I just wanna be, we, we, Alright.